Two Years After End Of Ebola Crisis, Survivors Sue To Receive Promised Aid : Goats and Soda The West African country has about 4,000 Ebola survivors. They still face physical and mental issues. And as Ebola has faded from the news, government support has dwindled. "They have forgotten us ... and many are still really suffering," says Ebola survivor Haja Bah. 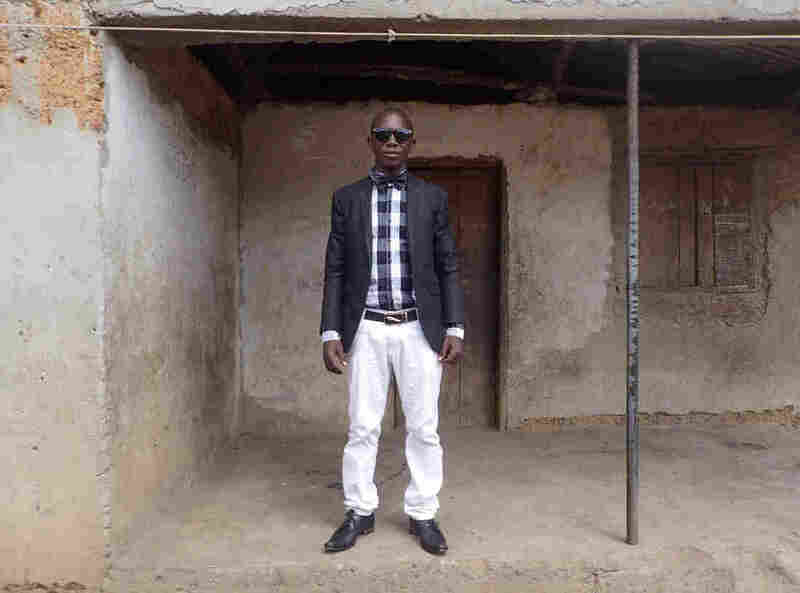 "Cellal alaa cogu — health has no price," sighs Haja Bah, looking out on a dusty street in the sprawling eastern suburbs of Freetown, Sierra Leone's capital. "But they have forgotten us ... and many are still really suffering." Between 2013 and 2016, the Ebola virus claimed more than 11,000 lives across West Africa. 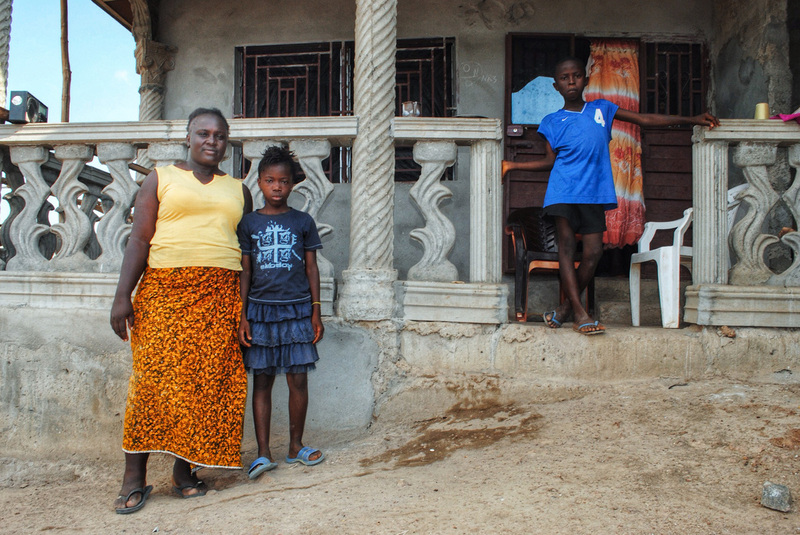 Bah is one of about 4,000 Ebola survivors in Sierra Leone. Four years after the outbreak began devastating West Africa and two years after the World Health Organization (WHO) declared the end of the last flare-up, Bah and other survivors still cope with an array of physical and mental issues. They have channeled their frustration into a lawsuit that seeks to hold the government accountable for the support they were promised — and say they have not received. Mariatu Kargbo contracted Ebola while working as a nurse. She survived and is now chairperson of the branch of the Sierra Leone Association of Ebola Survivors (SLAES) in the northern city of Makeni. While grateful to be alive, she says she tires easily and feels weaker than before. 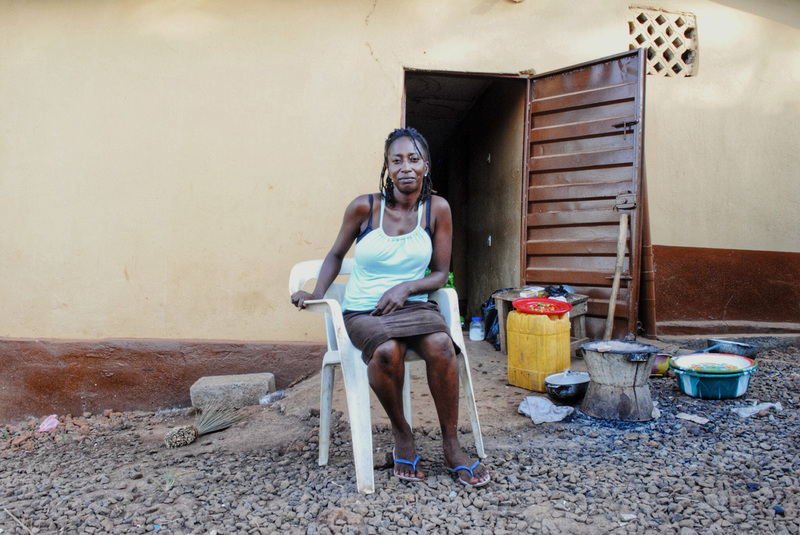 She still counts herself lucky as she rattles off a list of post-Ebola complications that trouble survivors: "There are some [who] have had miscarriages. There are the joint pains. Some of them are not walking properly. Some became deaf. Some are blind, others are partially blind. There are many health complications." Dr. Robert Musoke, technical officer for emergency preparedness and response at WHO's Freetown office, says these are common issues among survivors. According to a 2016 WHO report, between 50 and 75 percent of survivors report joint and muscle pain. Many experience a range of eye problems caused by uveitis, an inflammation that can lead to blindness. Around a quarter of survivors report losing their hearing. Mental health problems such as anxiety, depression and PTSD — stemming from the trauma of the virus itself and conditions in treatment centers — are pervasive. In November 2015, then Sierra Leone President Ernest Bai Koroma — riding a wave of international support — promised free health care for survivors. Soon after, the country launched the Comprehensive Program for Ebola Survivors (CPES). Under CPES, the Ministry of Health and Ministry of Social Welfare aimed to funnel funds from international donors to non-governmental organizations to provide services to survivors. CPES had an impressive agenda. Dr. Kwame O'Neil, the health systems strengthening manager at the ministry of health and former manager at CPES, says the program was supposed to equip the health system to deal with the issues faced by survivors. He points out that over two years, 238 health workers were trained to identify Ebola-related conditions, and 135 survivors were recruited to help people reintegrate into their communities, address ongoing health problems and provide psychosocial support. In March 2016, WHO declared the end of the Ebola epidemic. Soon afterward, crises arose in other countries, drawing the attention of the international community. Support for CPES from two large donors — USAID and the British Department for International Development — dwindled. Last year in Sierra Leone, the CPES program ended and many of the programs that were funded and implemented by international donors and NGOs became the responsibility of government ministries. "The big donors were meeting most of the cost," says Musoke. "But that level of support went down, and in mid-2017 most of those NGOs handed over [responsibility for the programs] to government." Francis Koroma, 28, is all too aware of the lack of support. He is one of 35 survivors in Pateh Banah Marank, a rural town of 1,800 in northern Sierra Leone. Late last year, his right eye started becoming sensitive to bright light. Soon afterward, his vision began to blur. During two visits to the district hospital, he was able to buy the eye drops he was prescribed, but on his most recent visit earlier this year, the hospital no longer had any drops available — and he couldn't afford the drops at the private pharmacy. He says he rations his eye drops and is worried about what will happen when his diminishing supply runs out. On days he doesn't use them, he wears sunglasses to help with light sensitivity, but he says his eye still hurts and his vision is blurry. O'Neil says that since CPES ended, the shortage of drugs has become a significant problem for many survivors. It doesn't help that the country has a dearth of specialists — for a population of 7.3 million, there are only four trained ophthalmologists. He says the ministry is still getting accustomed to operating without the substantial international support they had under the CPES program, and that more drugs are being shipped in from Europe. But he says mobilizing external funding for medicines, surgical instruments and salaries is harder now that Ebola has faded from the headlines. Massah Stevens, a nurse who contracted Ebola, says her landlord evicted her because she had contracted the virus. She's now building a new home — and won't tell her neighbors that she's an Ebola survivor because she thinks they would be afraid. "A promise was made to these people by the world, but it seems as if people have lost interest in them. There are now other things to prioritize. Ebola is no longer news," O'Neil says. Meanwhile, after two years, some survivors are still trying to re-establish themselves. Many lost family members to the epidemic. Businesses folded while people were quarantined. In rural communities, seasonal crops went unharvested, leading to food shortages in some areas. The World Bank calculated that Sierra Leone lost $1.4 billion in GDP in 2015. To make matters worse, some survivors say they felt stigmatized upon coming home. When Massah Stevens returned to her house in western Freetown after surviving the virus, she says her landlord evicted her: "He said he cannot accommodate us, because I am an Ebola nurse so we need to leave the house." She is now building a new home on a hill on the other side of town. Outside the half-finished structure, Stevens says she doesn't reveal to her new neighbors that she is an Ebola survivor. "They might not voice it out, but people would be scared and keep their distance," she says. Then there is the matter of international support. During and immediately following the outbreak, survivors were the beneficiaries of the $1.4 million Social Rehabilitation and Payment to Ebola Survivors program, established in June 2016 by the United Nations Development Program and the government of Sierra Leone. Some 2,500 survivors received cash assistance to help rebuild their lives. Francis Koroma says he used the money he received — around $1,000 over a year — to continue his schooling and buy food for Ebola orphans in his community. He received his last payment in January 2018. This reporter made repeated calls to the ministry of social welfare to ask about the payments but the calls were not returned. "Ever since the implementing partners have left, we have no more support," he says. "They have all forgotten about us." The frustration is exacerbated by allegations that funds designated for the Ebola response were misappropriated by the government. In December 2017, two survivors filed a lawsuit against the government in a regional court, with help the help of the Center for Accountability and Rule of Law, a local NGO. The survivors allege that corruption during the outbreak delayed the government's response, leading to a violation of the survivors' rights to health and life. "We want additional relief for the survivors," says Ibrahima Tommy, director of center. "We want the court to order certain institutional, legal and structural reforms to address the medical, social and economic needs of the survivors." Stevens and other survivors hope the lawsuit and protest will draw attention to their plight. Stevens says she's afraid that if survivors continue to be ignored, more could end up like victims of Sierra Leone's brutal civil war, begging in the streets. "That's what happened to the war victims," she says, shaking her head, "and we don't like to see that."